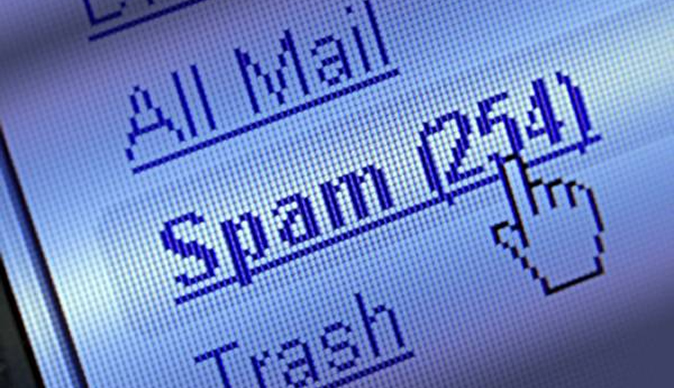 Mumbai - India has emerged as the world's top source of junk mail as spammers make use of lax laws and absent enforcement to turn the country into a centre of unsolicited e-mail. A recent report by Kaspersky Lab, a Moscow-based global internet security firm, says more spam was sent from the south Asian giant than anywhere else in the world in the third quarter of the year. An average of 79.8% of e-mail traffic in the three months to the end of September was junk. Of that, 14.8% originated in India, 10.6% came from Indonesia, and 9.7% from Brazil. India's dubious top spot was attributed to lack of awareness about internet security and anti-spam laws, which had effectively given spammers free reign, she added. Vijay Mukhi, an internet security specialist in India's financial capital, Mumbai, said spammers, forced to look for new bases after other countries cracked down on the practice, can act with impunity in India. "We have an Information Technology Act that was introduced in 2000. But we don't have any convictions under it and it's silent on spam," he told AFP. "If I'm a spammer, I would rather spam from India to India and the rest of world because nothing will happen to me." Spam - whose name is derived from the cheap, canned meat product that flooded the market in austere times after the end of World War II - refers to anonymous, unsolicited commercial or bulk e-mails. These can include political messages, apparent appeals requesting donations from charities, financial scams, chain letters or e-mails used to spread harmful computer viruses. Spammers run the gamut from legitimate marketing firms and advertisers who have adapted telephone cold-calling techniques to the computer age to "phishers", who solicit personal data from naive recipients to defraud them. India currently has 112m internet users, the third-largest number in the world after China and the United States, according to the Internet and Mobile Association of India (IMAI). The industry body estimates that five to seven million new users are being added every month and at the current pace the country will have more users than the US in under two years, deepening the pool of potential spam victims.